The Capital Community College Foundation & Advisory Council will host a Town and Legislative Forum on Wednesday March 7th from 12 to 1:30 p.m. at the campus’ Walter J. Markiewicz Community Room, 950 Main Street in downtown Hartford. 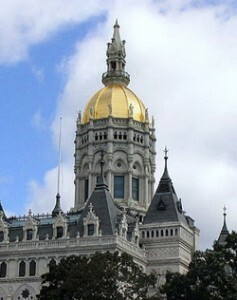 State legislators in Capital Community College’s primary service area, officials from Hartford and surrounding towns and community partners have been invited. The nationally recognized insurance apprenticeship program launched in 2017 with The Hartford offers an insurance-specific curriculum, paid-on-the-job training, tuition assistance and mentoring to equip students for key customer-facing roles in The Hartford’s claims operation. The program is creating career track opportunities for Capital students. The success of Capital’s Hartford Heritage Project that since 2011 has made Hartford’s rich and diverse cultural institutions, landmarks, and neighborhoods an extension of classroom incorporating content about Hartford into the curriculum. Seating is limited for the Town & Legislative forum. RSVPs are required for this event. For more information contact the college’s advancement office at 860-906-5102 or email CA-foundation@capitalcc.edu. 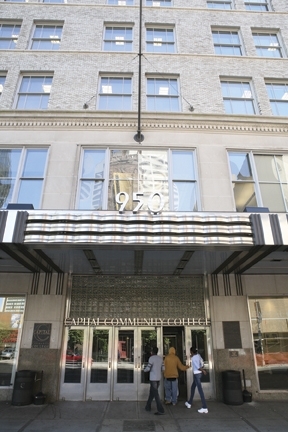 This entry was posted in Events, Hartford Heritage, Public Policy, Workforce Development and tagged community college, consolidation, Hartford. Bookmark the permalink.